Week 5 of the summer survival series is here! I can't believe the series has come and gone, which also means that August has come and gone equally as fast! To finish out the series, we are talking about end of summer BBQs and cookouts! We always have several family get togethers throughout the year, and there are some staples that keep us going! Let's get started! 1. 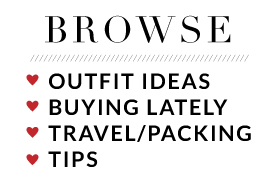 What to wear: First let's start with the outfit. It's all about being comfortable. My ripped shorts are my most favorite summer item. Denim can be horrible to wear in heat and humidity, even if they are shorts. I love that these fit like running shorts, but clearly they're denim. Anything plus these shorts are perfect for a BBQ if you ask me! 2. What to eat: Did you guys know 'pork steaks' were a thing? 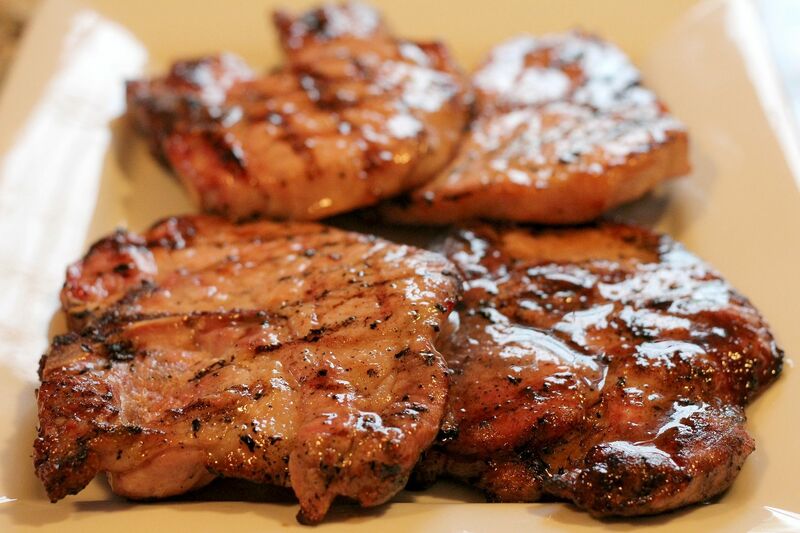 You're probably asking yourself, "what's the difference between a pork steak and a pork chop?" Well, the pork steak comes from the shoulder of the pig and tends to be fattier than a pork chop. When I started hearing this phrase when I moved here, I just assumed they were the same thing as a pork chop, but apparently it is its own thing and it originated here in St. Louis. The pork steaks at my favorite barbecue restaurant (Beast Craft BBQ) are so tender, you can cut it with your fork - no knives needed. 3. What to drink: Infused water certainly isn't a regional thing, but I thought it was worth mentioning for the sake of this post. I got these liter carafes from The Container Store and they worked perfectly for infused water. Especially since they come with lids! I've tried a few, but my favorite is cucumber mint! Half a cucumber filled about 1/4 to 1/3 of the carafe. I added the mint leaves, one packet of Splenda for a touch of sweetness, then just filled the carafe with cold water. I placed the lid on, gave it a few good shakes and flips upside down and refrigerated it for about 36-48 hours. For an adult beverage option, I love a good Gin Bucket! My in laws were the ones who first introduced them to me. 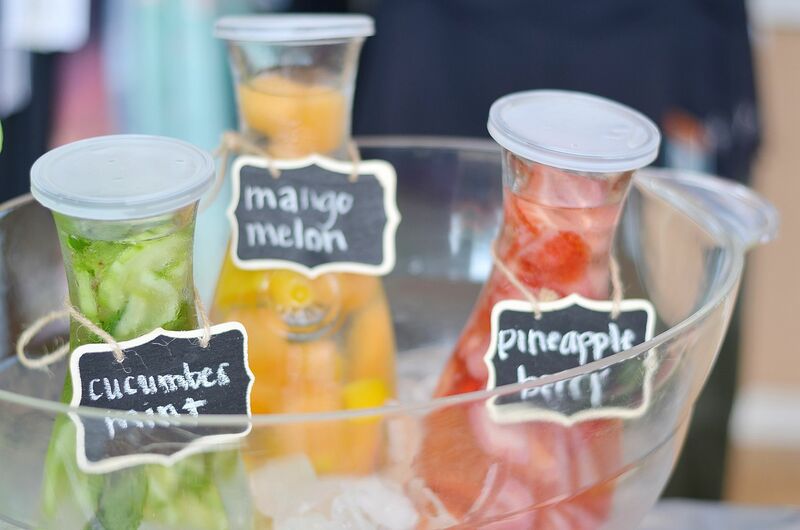 They're easy to make and even easier to drink. (And dangerous!) When I was trying to find a good image of a Gin Bucket, I found this article here I had to laugh because the writer of the article mentions living in an Illinois suburb near St. Louis, and wouldn't you know, it's not too far from us! I'm interested to hear if you guys knew what a Gin Bucket was before reading this post, or if this is really a regional thing. 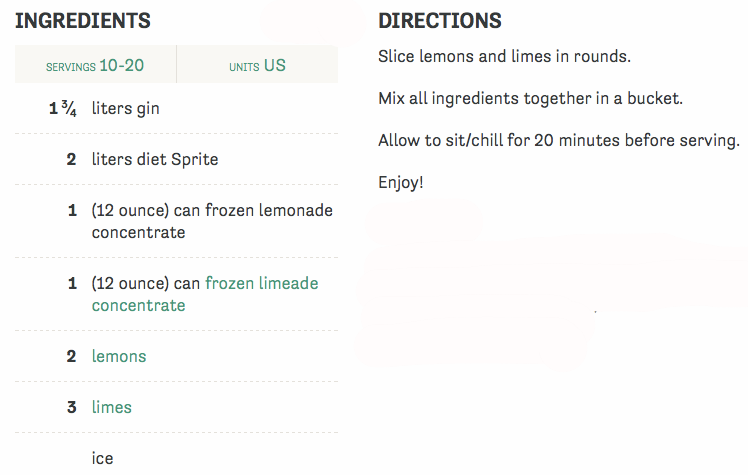 Here is a recipe that is pretty similar to how my in laws make them! 4. 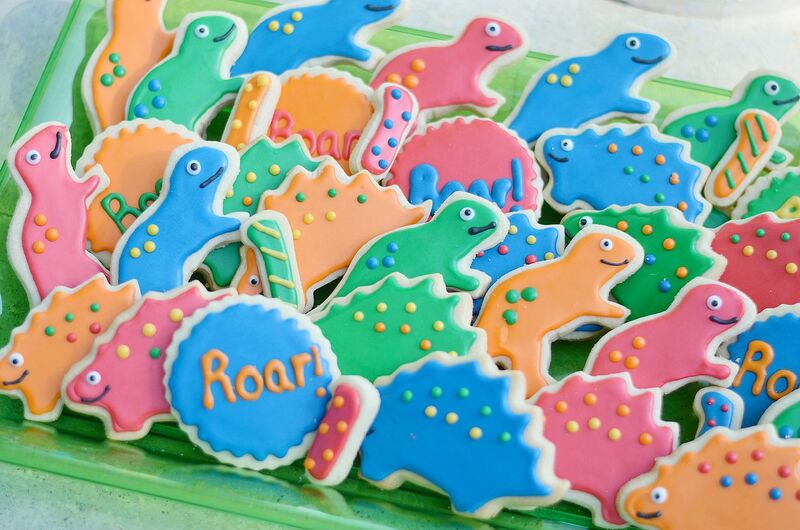 Sweet endings: This is really random, but we never have a party (a birthday party anyway) without these cookies! They're always decorated to the theme, and if you recall, I had some for my yoga and style workshop. 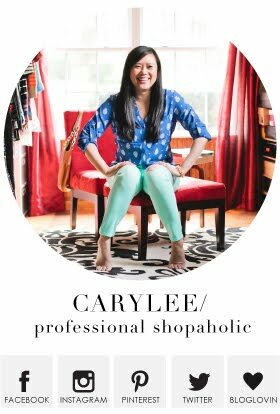 My sister in law found someone local who makes all of ours, but I'm sure you all have a local person or shop that would do the same. And that's all she wrote, folks! Hope you enjoyed this fun collaboration! Follow through our coast-to-coast blog hop by heading west to San Diego for Gina's take on this week's theme, or simply use the links above to meet each blogger in this series. I'll take a gin bucket and this is the perfect BBQ outfit. A pork steak sounds delish! Prefect bbq look! Love those shorts!! 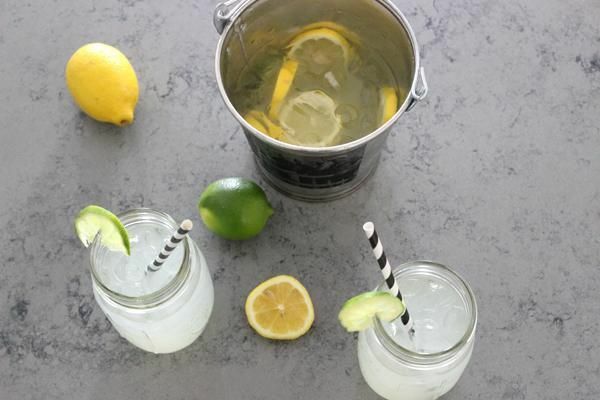 TOTALLY making the Gin Bucket this weekend! That looks delish! Love these fun ideas! Wishing I had a BBQ to go to but sadly I don't! Your outfit is really cute though. I love pork steaks! I'm from St. Louis so it threw me off when I moved to Nevada and they stopped existing!